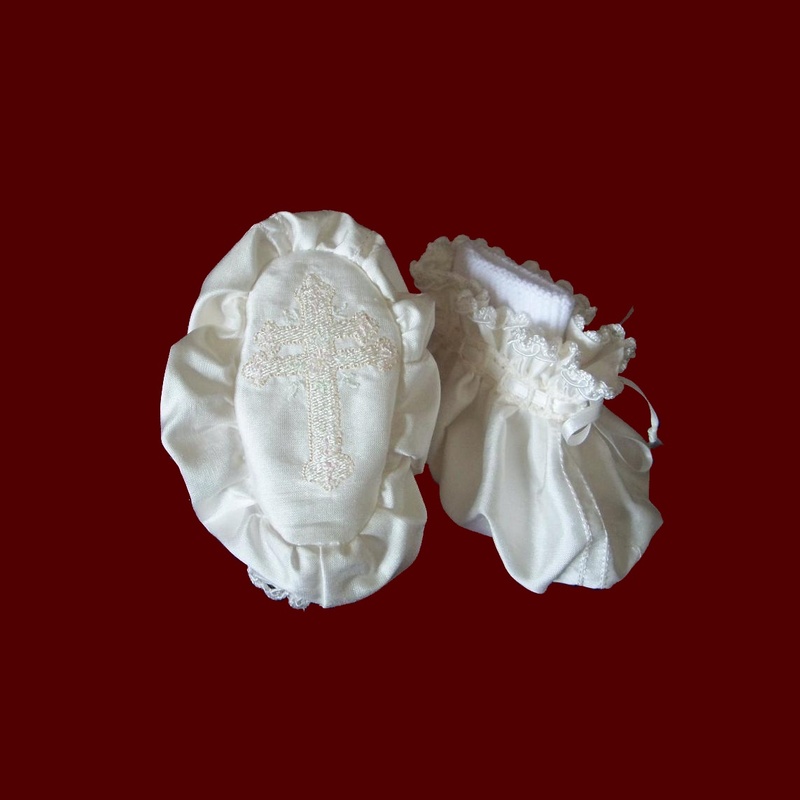 Embroidered cross christening booties feature pintucking detail which tie on securely around baby's ankle with lace trim edging. Includes cotton socks and is available in all sizes. Can be ordered in the following fabrics in white or ivory: Irish Linen, linen batiste, satin (shown), shantung, silk dupione or cotton batiste with embroidery in all white, ivory or pale pink accents (shown). Irish accents available on all items on this website. 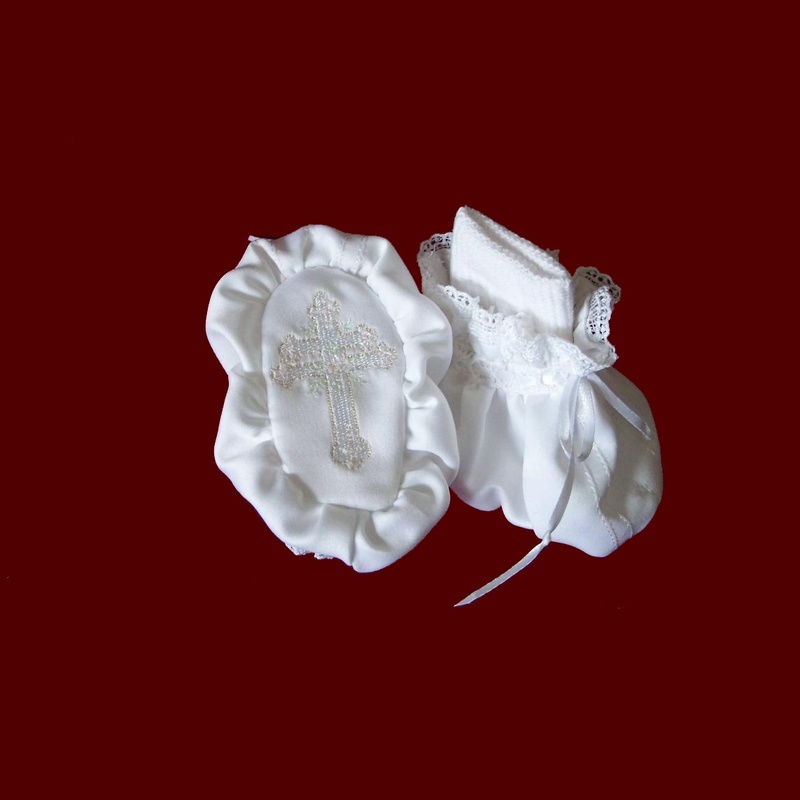 **New embroidered cross designs to choose from!